Rockleigh Industries has been in business since 1982 as an Engineering and Manufacturing Company in USA and Asia as well as a Supplier and Importer. We specialize in wide range of manufacturing process including Machining, Die Casting, Metal and Plastic Injection Molding, Metal Stamping/Fabrications/Forming, Electronic Wiring and PC Board assemblies for a wide range of manufacturing parts, components, Turn-Key Equipment, Products, Instruments, and Mechanical Products etc. covering Many Different Industries on OEM basis. Rockleigh spent 30 years sourcing and creating direct relationships with manufacturers overseas. Since inception, we have established a large network of manufacturers that can fulfill virtually any product in any industry. 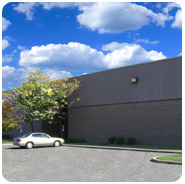 Our local office in the United States has been designed to coordinate quick quotes, provide constant updates, and track all data needed to communicate with and expedite all client orders ensuring a smooth transition from placement of orders to delivery, while avoiding the inconvenience and complexities for our customers of dealing directly with factories overseas. Contract electronics manufacturing business focused on low and medium volume manufacturing for industry sectors demanding high reliability product .Rockleigh Industries Inc. is a full service Electronic Contract Manufacturer. Our capabilities consist of printed circuit board assembly, cable assembly, mechanical and final assembly and test, box builds much more. We also offer complete turnkey Product Design to help increase your time-to-market.